Today's popular news: Party-mood Young Tigers mauled by Syria. Wrong! I am a football crazy but this time it's the smaller prints that did it for me. Alright, I admit it. 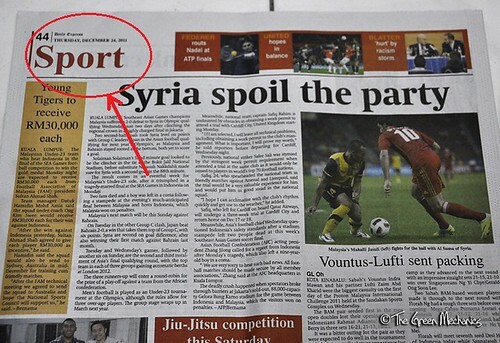 That headline Syria Spoil the party caught my attention. It is a summary of the sad truth about our junior football team Young Tigers, Harimau Muda. They won the SEA GAMES football tourney barely 2 days ago and I bet many of the players are still celebrating as Syria put two goals into their net. ..and it is so important that I circled the word "Sport" on the top left-hand corner. Not quite. Look closely at the enlarged image below. See it? Yes, it's the date. 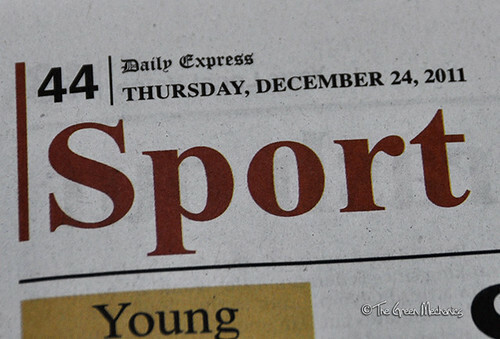 According to Daily Express it is Christmas eve already. This image is not doctored and you can check your copy if you still have it. Moving on. Buoyed by our 'massive discovery' and believing that we would make it to the history book, we combed the papers for more golds and true enough we found one in the Bahasa Melayu section. 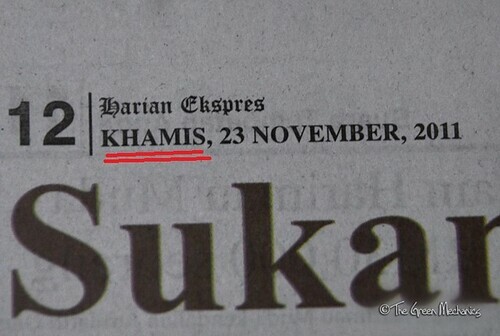 Khamis 23 November 2011? Hari Khamis bukan 24 haribulan kah? This is nothing less than bad but I still prefer the 24-December-2011 blip. I really should now start wishing people Merry Christmas. Sembang kosong kopi-o saja. Jangan marah. tajam mata kamu dua bah! 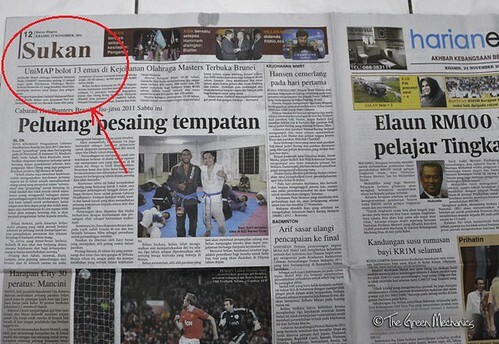 petugas (printing/proofreading) malam tu letih sangat agaknya. Kogutan mangkali itu proofreader tu ehhehe.. Both languages also got wrong ka... wrong date and wrong day. LOL. What's happening to that paper hehee. I'm sure the boss figured that out and dealt with the people who are behind the mistake. Putung gaji kali.